We will hold the New Guys Bootcamp (formally the New Guys 101) at Redneck Off-Road Heaven (Ardmore, OK) on Saturday, March 9th. This event is designed mostly for new wheelers. If you have never been offroad before or want to learn more about offroading, come on out and we will help you understand the basics. 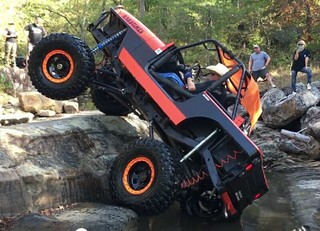 We will also cover the best techniques for a safe and fun time on the trails. The day will consist of a drivers meeting/discussion about wheeling basics. Following the driver's meeting/discussion, we will break up into groups, and Trail Leaders will cover vehicle specific topics with their groups (disconnects, airing down, etc.). Then...we'll hit the trails and put that training to work. For more details on Redneck Off-Road Heaven, please click the link below. *This park is located at 12875 W Old Hwy 70 in Mannsville, OK. Use Ardmore for GPS. **Entry fee is $10 per person, not per vehicle. ***Park is open 7 days a week. 8:00 AM: Park Opens. Check in your vehicle at the office. 10:30 AM: Head out on the trails with Trail Leaders. Afternoon: Head back out for more fun!!! ***We will plan a group convoy to the park for anyone interested in driving over as a group. Please note when you sign up if you would like to convoy. Thanks! We will meet at the TA Denton gas station (I-35 and U.S. 77, Exit 471, MM 471) outside of Denton off I-35W at 6:15am and leave no later than 6:30am. We will stop to fuel up/top off gas tanks closer to the park. Please feel free to text me if you have questions or are joining us in route and not at the meet-up location. My # is 940-765-3058. We will be traveling on CB channel 8 for the highway travel. Thanks. Last edited by Bearkat; 04-12-2019, 08:30 AM. In, and will be part of the morning convoy. Going to try and make this. Putting it on my work calendar so they get the message to not bother me that day. If only I had a Jeep........I mean a running Jeep. Get it fixed already!!! I mean seriously!! We have some great runs coming up!! has anyone been there before? I looked at their FB page and it looked like one big mudhole. Here is a pretty good video. On all the offroad site it considers most of the trails as beginner to easy which is great for a New guys run for beginners it is only 200 acres so it is a small park. It will be a muddy mess if it rains as all the trails are dirt and it seem most of the pictures are from when it was wet. I think it will be a good place for this type of event. Yes, I have been here. This is not Redneck with Paychecks. This is Redneck Off-Road Heaven in Ardmore, OK. It has a great beginner park with lots of hills, trails, creek beds to run. See pics below for some of the pics from my last trip there. Of course I have, I scoped it all out and have ran the park before. I do my research, folks. TRUST Darla... She is on top of ALL the events..! This is not Redneck with Paychecks. This is Redneck Off-Road Heaven in Ardmore, OK. I know that, I'm saying that looking at the Redneck Off-Road Heaven page it looks like a mudhole. They didn't have a single dry pic on there. Well, it has been raining non-stop for months now, so I am sure that there are some puddles and mud at this time. I am hoping by the time March arrives, things will have dried out some. The park has a lot of rock and gravel so will hopefully dry out quickly. Every park at this time has mud holes due to the amount of rain that we have had in this area. I've heard Bridgeport is pretty much nothing but one giant mud hole at this time. From my pics, you will see that the park is nice when it is dry. So fingers crossed that the rain slows up in the little over a month we have left before this event. I would still pick this park in a heart beat for a New Guys Run over Bridgeport after a rain. As with any park there are areas where people want to play in the mud, but you can also see that there are lots of areas with gravel and rocky trails to ride as well. Hope you come out and join us and get a first hand look, Nathan W. I think you will be surprised. It's really a great park.